Vivek Shraya, a Toronto-based trans singer-songwriter, tackles to topic of her continuing journey of transition on her new album, Part-Time Woman. 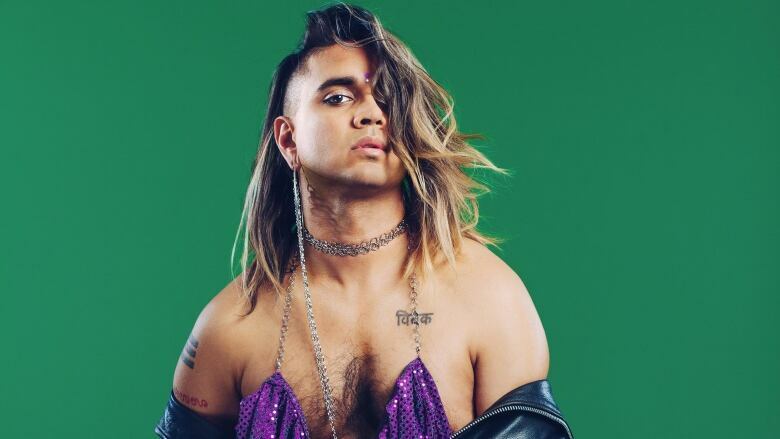 It's taken a lifetime for Vivek Shraya to find her voice. She's a singer-songwriter based in Toronto, but she grew up as a boy in Edmonton — that kid on the playground who was always singing. In high school, learning songs by Jodeci and New Kids on the Block helped her make friends with the so-called cool girls and avoid getting bullied. When Shraya came out as a trans-woman last year, she turned to music again. She released a song called "Girl, It's Your Time." Fast forward to today, Shraya is putting out a new album, entitled Part-Time Woman (out tomorrow), made with a Toronto music collective called Queer Songbook Orchestra. It's all about Shraya's continuing journey of transition and it asks the question: When does transition end?